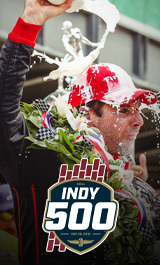 Parking is available throughout many lots located at and around the Indianapolis Motor Speedway. Available on many different surfaces such as pavement, grass, gravel and dirt, there are plenty of locations to choose from that are near your seating location. Make sure to reserve your parking early as these lots go fast! Street Closures: 16th Street will be closed prior to the start of the INDYCAR Grand Prix Race. Closure will occur between Olin Avenue on the east to the 16th Street roundabout on the west at approximately 3 p.m. In addition to the 16th Street closure, Polco Street will not be accessible northbound from 10th Street during this time. Gate 2 & Credentialed Parking: Fans should know that Gate 2 is not accessible via car without a credentialed or pre-paid parking pass. In addition, if you have a Turn 3 credentialed or pre-paid parking pass, you must enter through Gate 10 and not Gate 2. Fans needing ADA accessible parking inside the oval should contact the IMS Ticket Office to purchase. Free ADA parking is available in the North 40 parking lot while spaces remain. ADA parking in the North 40 is accessible via 30th St and Gate 10 only. All shelters must be put away by the race starting time on Race Day in Lots 1B, 1C, 2 & 3 Grass. *Cash only, pay at the lot entrance.